WestJet's plan to hire cheaper pilots does not affect the contracts of existing pilots. So what's all the fuss about? In short: political clout. After recently voting in favour of strike action, WestJet pilots could walk off the job as early as May 19. Such action would disrupt over 740 flights across the Americas and Europe, leaving up to 70,000 passengers stranded. The threat of strike action is already hurting the airline's bottom line; WestJet chief executive Edward Sims recently noted a drop in ticket sales owing to "a degree of anxiety" from potential passengers. Sims and his colleagues have been negotiating with the airline's pilots over a new working contract for months. A key sticking point? Swoop. That's the name of WestJet's new discount carrier, which targets the ultra-low-cost travel market with one-way fares as low as $39. Low prices require lower operating costs. For airlines, this means capping pay, since manpower is an airline's largest operating expense after fuel. WestJet's solution is to have Swoop airplanes flown by non-company pilots, who would be hired from overseas and offered less pay than their "mainline" counterparts. This worries the Air Line Pilots Association (ALPA), which represents WestJet pilots. Their response? A call to action. ALPA bills itself as championing "all aspects of aviation safety throughout all segments of the aviation community." Yet they have long espoused antithetical policy positions. Safety measures such as using cockpit voice recorders, reining in pilot commuting (the dangerous practice of living in one city and flying to another to begin work) and establishing mandatory alcohol and drug testing of aviators have all drawn the ire of this organization in one way or another. In the WestJet saga, however, ALPA's opposition is about job security, or so it says. ALPA believes that only WestJet pilots should man the airline's fleet, including those of its subsidiaries. 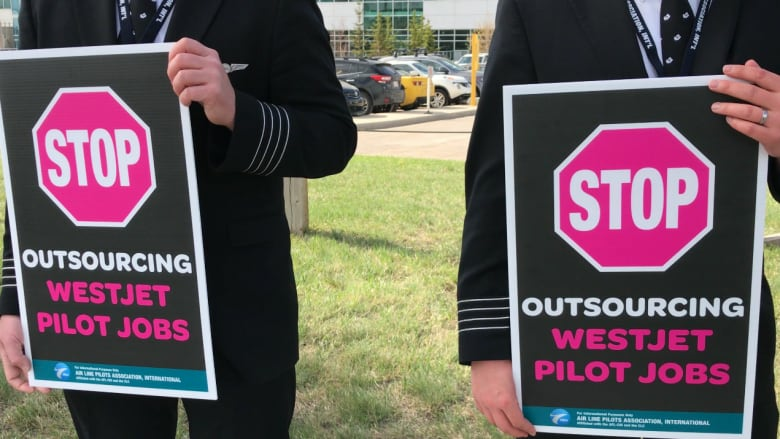 Pursuing an alternative strategy – as WestJet plans to do — would lead to widespread job losses, or so ALPA seems to suggest. How that would actually happen is anyone's guess. WestJet's plan to hire cheaper pilots does not affect the contracts of existing pilots. Those individuals will continue to fly WestJet aircraft and will continue to be paid WestJet wages. So what's all the fuss about? The answer is political clout. Swoop pilots aren't represented by ALPA. WestJet pilots are. Hence, by insisting that the airline's entire fleet be flown only by "mainline" pilots, ALPA's membership roll stands to increase as the airline expands. Given WestJet's plans to add more than 200 flights this year alone, that's a lot of potential new members. ALPA knows this, which is why it is using the threat of strike action to advocate for those not yet within its ranks. Put simply, ALPA's tactics have less to do with job security and more to do with recruiting new members. Don't expect the organization to say so. It can't. The travelling public is unlikely to find such tactics palatable. So ALPA has come up with a new strategy: misdirection. These tactics are unfortunate. While WestJet's plan to rein in spending is understandable, the move raises important questions worth debating. For example, how much should pilots get paid? Should their wages be standardized across airlines and their subsidiaries? And most importantly, given the critical safety nature of the work pilots perform, who should set the minimum acceptable pay standard? Firms or the government? Current rhetoric provides little clarity on these issues. Whether or not a strike occurs remains unclear. WestJet says it is "committed to talking for as long as it takes to reach a settlement benefiting both our pilots and the company." ALPA has voiced similar sentiments. That's nice. But as both parties fight for the upper hand, they should remember who really stands to lose should talks fail: the travelling public. At the very least, passengers should know what this saga is really about. Ashley Nunes studies regulatory policy at MIT.